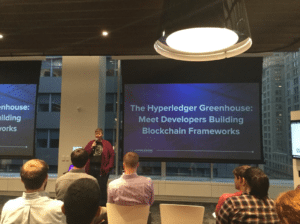 Back to our Developer Showcase Series to learn what developers in the real world are doing with Hyperledger technologies. Next up is Raj Sadaye. What advice would you offer other technologists or developers interested in getting started working on blockchain? One piece of advice I would offer someone interested in getting started with blockchain is to start working on a project or an application using the technology that they want to learn. It doesn’t have to be an elaborate or a complicated application, but could be something that has utility in the real world. While working on it, they might face difficulties or technical setbacks. The best way to tackle this is to reach out to the community of several other developers who are currently maintaining/ working on that technology. We can learn a lot by working on a project and reading the documentation thoroughly. Give a bit of background on what you’re working on, and let us know what was it that made you want to get into blockchain? My interest in blockchains developed when I was searching for a method to secure IoT device communication as well as make it de-centralized to increase speed. Blockchain technology turned out to be the perfect solution for this. Over the past 8 months, I’ve worked on several projects at Arizona State University’s Blockchain research Lab. In March 2018, I worked on building a PoC for a Carbon credits trading ecosystem using blockchain for Lightworks at ASU. The system enables various players of the market to control carbon emissions while maintaining sustainable growth by incentivizing carbon capturing actors. A brief description of this project can be found here. Currently, we’re working with the Center for Negative Emission of Carbon to design a way to verify capture as well as emission of carbon with minimal human intervention. My current research focus is developing a data sharing protocol that enables edge to edge communication in IoT devices. I’ve also been working on building the CSE 598: Engineering Blockchain Applications course on Coursera for Arizona State University. What project in Hyperledger are you working on? Any new developments to share? Can you sum up your experience with Hyperledger? Primarily, I’ve been working with Hyperledger Fabric and Hyperledger Composer and overall, the experience has been really good. Hyperledger Fabric has a good set of tools to build the infrastructure for a distributed ledger solution. The certification authority is a high-quality tool that helps us with cryptographic validation and dynamically assigning certificates for actors being added to the network. Once a person is familiar with the documentation, it’s really simple to go about building applications. Hyperledger Composer is a tool that excited me the most over the last 8 month because it runs on top of Hyperledger Fabric and it can help a blockchain novice on how to build a distributed application. Both frameworks have really good tutorial sections that help developers get familiar with the technology. As Hyperledger’s incubated projects start maturing and hit 1.0s and beyond, what are the most interesting technologies, apps, or use cases coming out as a result from your perspective? In my opinion, supply chains and blockchain technology were always meant to go hand in hand. The most interesting app or use case that I’ve been recently come across is Everledger. Everledger rewires trust and confidence in a previously broken market by building consortiums of actors participating and maintaining provenance by supplementing blockchain technology with various other verification techniques. In the near future, I see other products also adopt such an architecture to avoid counterfeiting and adultery. What’s the one issue or problem you hope blockchain can solve? One issue I’m hoping to be solved using blockchain technology is verification of identity through digitization of personal documents. Verification of documents using hash-based fingerprinting assigning ownership of this digital record to the person rather than a centralized authority can help a lot in maintaining the privacy of data as well as avoiding frauds through detection of counterfeit documents being used. Where do you hope to see Hyperledger and/or blockchain in 5 years? In 5 years, I expect blockchain technology to move over the crypto-hype and focus on the real applications and use cases that it be integrated with. For Hyperledger, the most interesting upcoming project, in my opinion, is Hyperledger Quilt which aims to achieve interoperability in blockchains. I’d also like to see a solution within the Hyperledger project that enables seamless integration of blockchain application with the existing infrastructure. Interoperability and standardization took center stage (literally) last week in New York at Consensus, when organizations like FedEx explained that both Ethereum and Hyperledger technology power their logistics solution and that it was a goal of theirs to be agnostic when choosing ledger technologies. Then there was the Enterprise Ethereum Alliance, which announced their 1.0 specification that many blockchain developer communities, including Hyperledger Sawtooth, plan to be compatible with in the near future. The discussions around interoperability were a significant contrast to what we saw one year ago at Consensus, when many were just trying to wrap their minds around the technology capabilities and experimentation was in full swing. The idea of different blockchains interacting with one another still seemed like several years away. 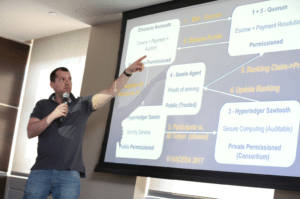 At that time, we only saw a glimpse of potential possibilities for interoperability when the HACERA team created a fun chess game called Dutchess at the Building Blocks Hackathon that used a combination of technologies like Ethereum, Solidity, Quorum, and Hyperledger Sawtooth. At Hyperledger, we envision a world of many chains, some public like the crypto-currencies and some permissioned like you will see in healthcare settings. That’s why we focus on developing the common frameworks for building all kinds of chains. Our diverse developer communities remain diligent in helping the industry advance interoperability above the layer of the DLT, and are on constant look out for simple and open cross-blockchain approaches. An early example of this was the integration between the Hyperledger Sawtooth and Hyperledger Burrow projects last year. As a result of that integration, simple EVM smart contracts can be deployed to Hyperledger Sawtooth using the “Seth” (Sawtooth Ethereum) Transaction Family. Building on that development, the Hyperledger Sawtooth community released a feature called Dynamic Consensus, which goes beyond pluggable consensus to allow networks to change consensus on the fly. Hyperledger Sawtooth supports three consensus protocols right now and two more are in development. Also in development, is a change to the Sawtooth consensus API that will allow consensus providers written in a variety of languages. This follows a similar pattern to Sawtooth’s support for smart contracts in a variety of languages. This expands the breadth of possible consensus algorithm andprotocols that can be easily coupled to Sawtooth. 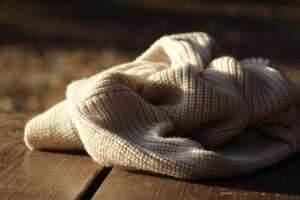 A more recent example is the Hyperledger Fabric community, which has been working hard to create a bridge to the Ethereum community, so that developers can write EVM smart contracts on Fabric. The hope is that our community will continue to tighten integration and interoperability across Hyperledger projects and beyond, allowing a greater number of available options for developers. We hope that even more developers can start to think out of the box, connecting blockchains, and doing it securely. The problem of working with more than one technology stack is no longer a technical one. We look forward to the rest of 2018 and all the progress to be made with interoperability. We hope you join us in the effort by contributing to Hyperledger projects. You can plug into the Hyperledger community at github, Rocket.Chat the wiki or our mailing list. As always, you can keep up with what’s new with Hyperledger on Twitter or email us with any questions: info@hyperledger.org. As 2017 comes to a close, it’s beneficial to look back and reflect on the progress we have made, and where we will see evolution and growth in the new year. This year, the world has acknowledged distributed ledgers and smart contracts as transformative technologies with tremendous potential to impact how business is conducted in many industries. Within Hyperledger, the technology foundations have now been set. In the coming year, that will turn into more production software releases, real world implementations, and the first real business returns on our collective intellectual and financial investment. Below are a few observations from the year, milestones and thoughts on what will come in 2018. Companies large and small, IT vendors and end-user organizations, consortiums and NGOs, everyone took notice of Hyperledger in 2017 and made moves to get involved. This was evident in the ever increasing Hyperledger membership, which nearly doubled in size. We sold out of our Premier memberships at 21 total, adding eight new companies just this year including SAP, American Express, Daimler, Change Healthcare, NEC, Cisco, Tradeshift and Baidu. Hyperledger now has support from 197 organizations, and remains the fastest growing open source project ever hosted by The Linux Foundation. This has given Hyperledger a very solid footing financially, enabling us to double the resources we can apply towards building and supporting the community in 2018. We have grown our Associate Member ranks to include organizations as diverse as Mercy Corps, the National Association of Realtors, the Illinois Blockchain Initiative, and the Monetary Authority of Singapore. These relationships are key to extending Hyperledger’s reach into different sectors and environments. Attesting to our focus on developing code suitable for enterprise use, this year saw the launch of the first production ready Hyperledger blockchain framework, Hyperledger Fabric 1.0. This was a true community effort pulling together contributions from more than 100 different developers and 30 different companies. As one result, we have 45 members listed in our Vendor Directory, providing products and services based on Hyperledger technology. and the Plastic Bank, a plastics recycling initiative. and more membership growth. We are reaching out to a broader set of industries than ever, and are deepening our relationships with our existing members. Demand for developers, and developer interest in Hyperledger, has exploded. We are now seeing sold-out Hyperledger meetups in dozens of cities, strong attendance at our semi-monthly HackFests held around the world, thousands of participants on our email and chat networks, non-stop requests for speakers at conferences, and of course more and more code flowing into our repositories. We launched the first Hyperledger online training course this year: Blockchain for Business – An Introduction to Hyperledger Technologies. Currently, there are 44,966 total enrollments, and 1,074 learners have completed the course with a passing grade. We have an average of 2,500 new enrollments per week. The course is second only in growth to the original intro to Linux operating system course launched by The Linux Foundation. We have now launched a Training and Education Working Group to involve core maintainers and other volunteers in the development of additional courseware. 150 people participated in the Hyperledger Member Summit in November in Singapore, representing 83 different member companies. and more developer activity across additional Hyperledger projects. In 2017, the community started exploring integrations among different Hyperledger technologies like Hyperledger Sawtooth and Hyperledger Burrow. We’re betting this collaboration and exploration will continue next year. The Hyperledger technical steering committee also accepted four new projects into incubation in 2017 including Hyperledger Burrow, Hyperledger Indy, Hyperledger Composer and Hyperledger Quilt. Quilt, in particular, is focused on enabling interoperability in a multi-blockchain world. We are anticipating that more such projects will call Hyperledger home next year. The Hyperledger Scalability and Performance Working Group was launched in June to facilitate important conversations. Various other efforts such as the new Blockchain Interoperability Alliance were created to advance standards that will hopefully promote a greater degree of connectivity between different blockchains in 2017.
and our projects explore integration and interoperability with each other even further, allowing a greater number of options to be available to developers. We’re proud of the work our vibrant and diverse community has accomplished this year. We have made great strides and could not be more thankful to everyone who has played a part in this success. It goes without saying the stakes can be even higher in open source, it’s a balance of creating a welcoming, collaborative environment and at the same time making sure everyone gets a say and all voices are heard. We strongly believe the open governance model that Hyperledger naturally inherited from The Linux Foundation has been a crucial part of the continued success of the project. 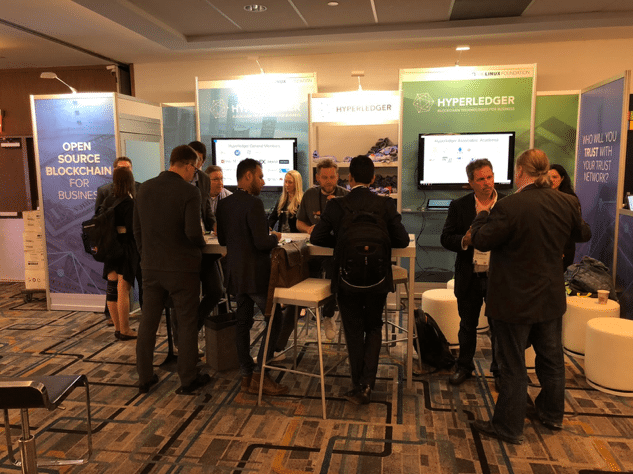 Finally, you can stay up to date with all Hyperledger news here or follow us on Twitter. We hold regular hackfests for Hyperledger, so be sure to check out the events page and join us for the next one. You can also plug into the Hyperledger Community at github, Rocket.Chat, the wiki or our mailing list. Here’s to a successful 2018! Our Developer Showcase blog series serves to highlight the work and motivations of developers, users and researchers collaborating on Hyperledger’s incubated projects. Next up is Nathan Aw, who is a Digital Advisory & Solutions Manager, of Emerging Technologies & Innovation Practice at NTT DATA. Build software like how we build our houses. Architects draw detailed plans before a brick is laid or a nail is hammered. Programmers and software engineers seldom do – perhaps this is why programs crash more often than houses collapse? In practical terms, it means… spend a lot of time on writing (thinking) specifications, devising blueprints. For programmers who are building on top of say Hyperledger Fabric, read and understand the protocol specifications. Thereafter write your own specifications for your program. I cannot over emphasize the importance of clarity of thought before one starts building on Hyperledger. I am working on Hyperledger Quilt. I got into blockchain purely by chance. Back in college my favorite Computer Science (CS) modules were distributed systems and cryptography (hashing, digital signatures, public-key cryptosystems). When I graduated, I found myself working on middleware (Integration – SOA, AMQP, OSB, etc). 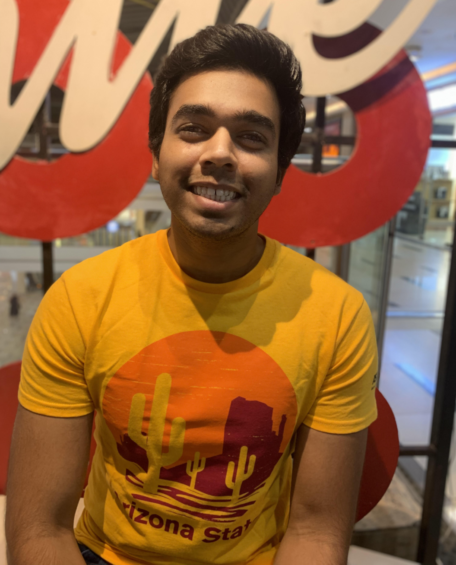 When blockchain arrived at the scene, all the stars aligned – I suddenly found my favorite subjects in school and my experience in middleware aligned. Hyperledger Quilt. Amazing community – full of passionate folks who are willing to lend a helping hand. The mailing list is so responsive. What do you think is most important for Hyperledger to focus on in the next year? Cross chain interoperability. scalability and security. I find the use cases of diamond supply chain and verifiable IDs for refugees most interesting. I hope blockchain can help usher in a new age of trustless paradigm. People no longer need to trust organizations but instead trust the software, the cryptographic proof, the process. Blockchain ideally should bring people closer than before – collaboration and cooperation for the betterment of mankind. I hope to see blockchain deployed in all the major industries, the major sectors and on a global scale. What is the best piece of developer advice you’ve ever received? Build Software like how we build our houses! What technology could you not live without? Nathan Aw Ming Kun is a Digital Advisory & Solutions Manager with NTT Data whose primary focus is on Blockchain technologies and other fast emerging technologies such as Robotics Process Automation (RPA). In his current role, he designs and delivers blockchain solutions for his clients. He is also an active participant in the open source collaborative ecosystem such as the Hyperledger Project, among many others. His passion is to help organisations quickly identify, adopt and scale digital technologies thereby pushing the digital frontier and capturing its full value. 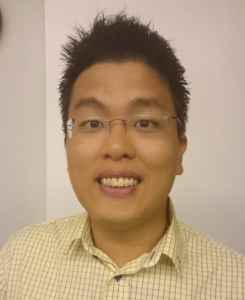 Nathan Aw brings with him 6 years of enterprise software and implementation experience from leading companies such as NTT Data, Accenture and Oracle. As an open consortium, Hyperledger incubates a range of business blockchain technologies, including distributed ledger frameworks, smart contract engines, client libraries, graphical interfaces, utility libraries and sample applications. Quilt is the latest project to join this vast community. Hyperledger Quilt offers interoperability between ledger systems by implementing ILP, which is primarily a payments protocol and is designed to transfer value across systems – both distributed ledgers and non-distributed ledgers. It is a simple protocol that establishes a global namespace for accounts, as well as, a protocol for synchronized atomic swaps between different systems. Ledger systems today are siloed and disconnected. Transfers of value are relatively easy within one country, or if the sender and recipient have accounts on the same network or ledger. But sending value to someone on a different network or ledger is complex and often impractical. Where connections between ledgers do exist, they are manual, slow or expensive. The Interledger protocol is based on concepts dating back to the 1970s and 1980s, but it took the advent of Bitcoin and the global blockchain movement to make the world realize that money and value transfers could be reinvented with Internet based technologies. Internet protocols enable information to be packetized, routed and delivered over communication networks. With ILP, money and other forms of value can be packetized, routed and delivered over payment networks and ledgers. Hyperledger Quilt is an enterprise grade implementation of the protocol, developed in Java, and providing libraries and reference implementations of the core Interledger components and in time ledger integrations for other Hyperledger projects. The idea is that Quilt will become a ledger interoperability solution for Hyperledger projects. This will enable Hyperledger members’ distributed ledger solutions, financial institutions’ private ledgers, IoT companies’ wallets, and supply chain systems to connect with one another to perform distributed atomic transactions. Who will work on Quilt? Everis, NTT DATA and Ripple are committing full-time engineering resources to ensure the success of this project. The main contributors will include Takahiro Inaba (NTT DATA), Adrian Hope-Bailie (Ripple) and Isaac Arruebarrena (Everis, an NTT DATA Company). Many other members have already expressed interest in backing the development of Quilt’s Java implementation. This team will seek to work with the other Hyperledger projects in order to find ways to enable ledger interoperability across Hyperledger’s DLT solutions and institutions’ centralised ledgers. Other engineers from NTT DATA, Everis and Ripple will also contribute to the project over time. Members of the Interledger Payments Community Group have also shown interest in contributing to the development of this ILP implementation. There will be repositories on GitHub to manage Quilt resources – they will become available over the next several weeks. You can watch for them here: hyperledger/quilt and hyperledger/quilt-crypto-conditions. Quilt is an exciting addition for the Hyperledger community. As always, we encourage developers to join our efforts on Quilt as well as other projects, via github, Rocket.Chat, the wiki or the mailing lists. You can also follow Hyperledger on Twitter or email us with any questions: info@hyperledger.org.